There are some objects that seem to have been around forever but we may not know about them in a great amount of detail. This may be true of lathes but it is quite possible that we may need a product that is made from one. A lathe is a type of machine tool that allows the piece to be rotated and turned, which allows the piece to be sanded, cut, and drilled amongst other functions. The lathe does the turning and therefore needs to be combined with other tools for the shaping. One such product that is made using a lathe is a candleholder because lathes are used to make symmetrical products, vital for a candleholder. Lathes are also good at making cylindrical objects and therefore other products which are made using a lathe include snooker cues and baseball bats where the cylindrical shape is vital. Lathes can even spawn other types of machine tools such as bores, which again have that cylindrical shape. You cannot find a much older tool than a lathe, which has been used as far back as Ancient Egyptian times, although back then the turning was done manually. It goes without saying then that a lathe has developed a considerable amount since those early examples. There are two types of lathes; horizontal and vertical. 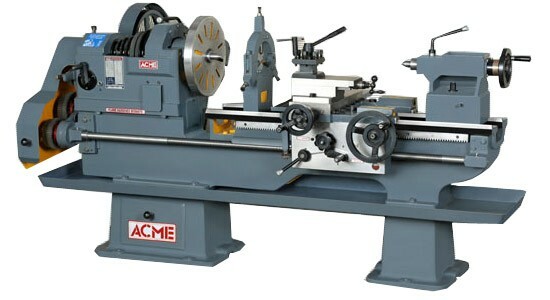 Horizontal lathes are best suited to high volume work and also complex work. Vertical lathes on the other hand are best for large diameter work. Different machines have been developed, with woodturning ones used for wooden products such as table legs and those snooker cues. Metal working machines however are used for candleholders. More recently, the use of computers has been applied to this most historic of machine tools. CNC lathes use computer technology to enable programming to take place and as a result this allows the same task to be repeated over and over again. With this the case, mass production of those products made on a lathe is possible and that means you need to buy a lot of candles to fill all these mass produced candleholders. You may have heard the term before but it is certainly possible that lathes may not be an area you have an extensive knowledge in. It is clear though that the lathe has been around for centuries upon centuries and has formed a significant part of the everyday practices of many people across the world. Harry Hardy is an expert in used machine tools and is writing on behalf of www.electromotion.co.uk.